Back in December, Sarah and I had the honor of being hired to photograph Shirin and Bansi’s wedding in India! You may recall seeing a fewÂ photographs of their destination wedding on the blog a few weeks ago. Since Shirin & Bansi live in Calgary, we weren’t able to get together with them to share the rest of their images until this past weekend. Now that they have seen them, we can now share them with our readers. We flew from Edmonton to India just before Christmas and met up with Amanda & Sumantra who’s wedding we photographed in Edmonton in the summer. It was great seeing them again and having the opportunity to do a bit of sightseeing together in New Delhi before we flew to Udaipur where the wedding was taking place. We even managed to survive a wild Tuk Tuk ride and crossed a busy 8 lane road with no injuries! When we arrived in Udaipur, we met up with Shirin and Bansi to tour the venue where the wedding was taking place and to do some engagement photographs. 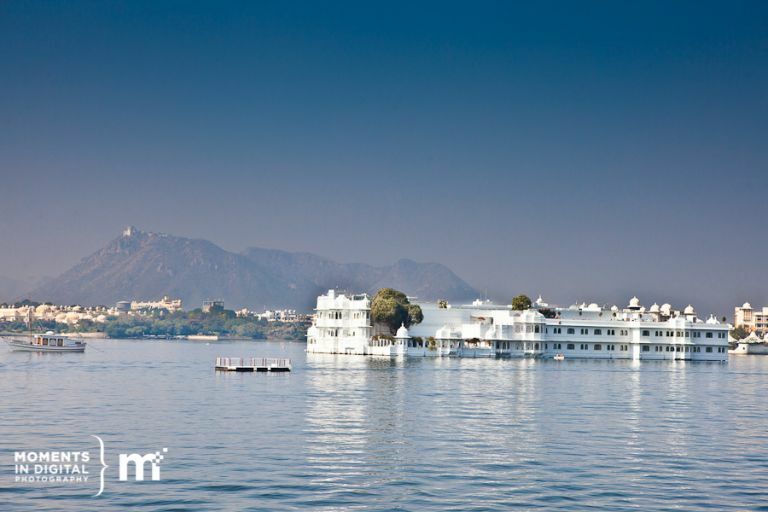 Their wedding ceremony took place at the beautiful Jagmandir Palace which is situated in the middle of lake Pichola in Udaipur city. It is a marble and sandstone palace built in the early 17th century. We were able to spend a bit of time scouting the location and snuck in a few photographs while they attended to some last minute details. Here are a few images from their engagement session. Stay tuned to the blog for Part II of Shirin and Bansi’s amazing destination wedding in India! Planning a destination wedding in 2012 or 2013? Want to ensure those once in a lifetime images are captured by a professional? Be sure to contact Edmonton Wedding Photographers Bruce & Sarah Clarke of Moments in Digital Photography to see if we are available to photograph your destination wedding. Absolutely gorgeous, Bruce!! I love the colors and crispness of the shots!! !